When you choose a doctor or another health care provider, you are entrusting your health and well-being to another person. It is important to choose a qualified, caring professional with whom you can openly communicate about your medical problems and who can effectively diagnose and treat your condition. Chicago Medical Malpractice Lawyer Phil Berenz is here to fight for you. Sadly, not all medical practitioners exercise the proper level of treatment and care with their patients. Doctors, nurses, pharmacists, specialists, physicians, therapists, and other health care providers can all make serious mistakes at the expense of their patients’ health and well-being. Patients can become victims in the event that negligent medical providers misdiagnose a condition, prescribe the wrong medication, give out false information, or make other mistakes. Every day people put their fate in the hands of trusted medical professionals. However, despite years of education and training, even members of the medical community make mistakes. Medical malpractice can cause extremely serious injuries and fatalities. Patients and in some case family members harmed because of a doctor’s error or by the negligence of a doctor, hospital, nurse or other medical professional or facility have a right to obtain compensation for damages. Medical malpractice is defined as the failure by medical professionals to meet the appropriate standard of care for their patients. Malpractice may occur during the initial diagnosis of a patient, before or during any type of medical procedure or in post-operative patient care. Malpractice may also occur when a medical professional fails to recognize an important symptom or illness, discharges a patient prematurely or fails to prescribe an appropriate course of treatment. 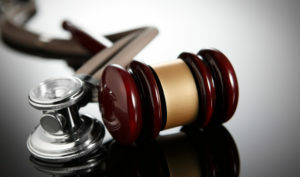 Basically, a medical malpractice attorney must show that the doctor failed to give a correct diagnosis in a situation where another, more diligent doctor or medical professional would have. If the doctor did not perform all the required tests that are normal for the symptoms which the patient was suffering from, or if the medical professional did not seek the advice of other medical professionals, then there could be a case of medical malpractice. Also, in cases where diagnostic equipment did not function properly, there may be a case of medical malpractice, although the fault then may not be the doctor’s, but the technician who used the equipment, or the manufacturer of the equipment. Technicians may have also mixed up samples, missed something on a CAT scan or X-ray, or other forms of human error may have occurred which caused the medical professional to give a wrong diagnosis. This would also not be the fault of the doctor. If a patient has been harmed or killed due to misdiagnosis or delayed diagnosis. At Berenz Law Network, we have the knowledge, experience and tenacity to represent individuals who have been injured due to medical professional’s negligence. When a person entrusts his or her health and well-being to a medical professional, the patient expects and deserves a proper level of care from the practitioner. No one should have to suffer because of the negligent, irresponsible acts of a medical worker. You need a Chicago Medical Malpractice Lawyer who understands that a serious medical wrongdoing causes deep personal pain. We know what you are going through and are here to help you every step of the way. Contact Me Today So I Can Help If you or a loved one has suffered as a result of a negligent health care worker, call me at 312-375-6524 so that I can fight to help you get the compensation you need for your losses.